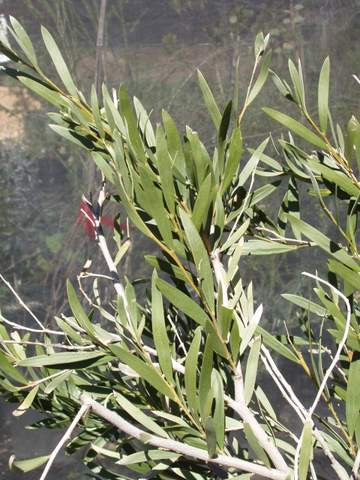 Beautiful small bushy tree 18-30' with leathery grey leaves and pale yellow flowers in winter. Tolerant of extended dry periods,frost and saline soils. Suitable for arid gardens. Used in Australia as shelter belt for stock. Timber is hard and useful for fencing. Growing well in Ojai California.